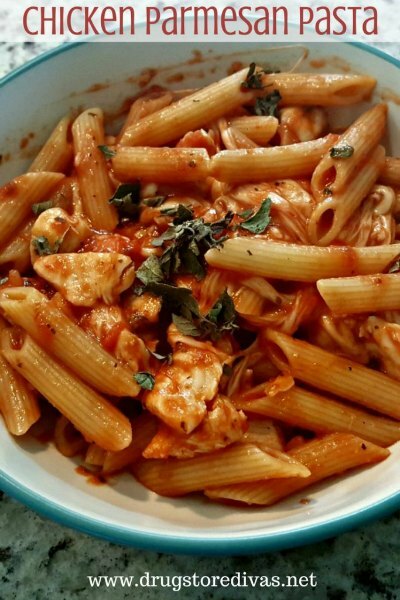 Everyone loves pasta and throw in some chicken for a filling and wonderful meal! 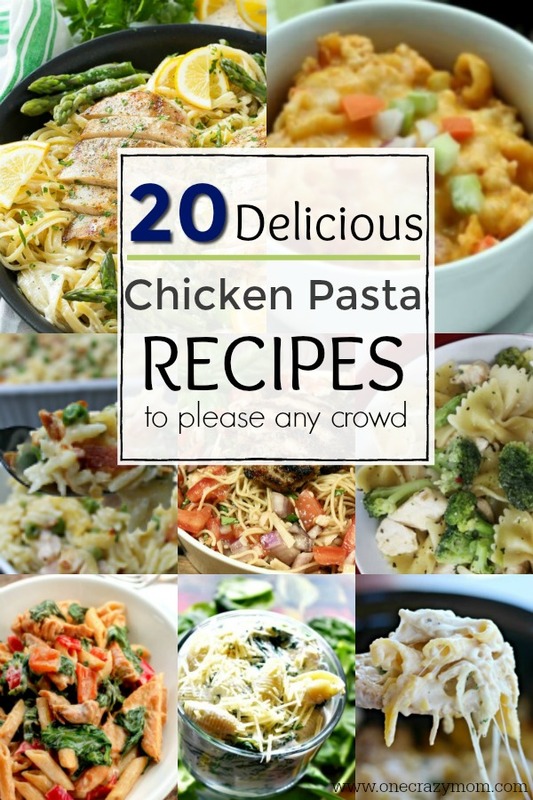 We have 20 chicken and pasta dishes that the entire family will love. No more boring menu plans with all of these variations! Most of these are one pot meals and if not, still very simple. We all know how hectic it can be trying to get dinner on the table and these recipes will take some of the stress out of meal time. 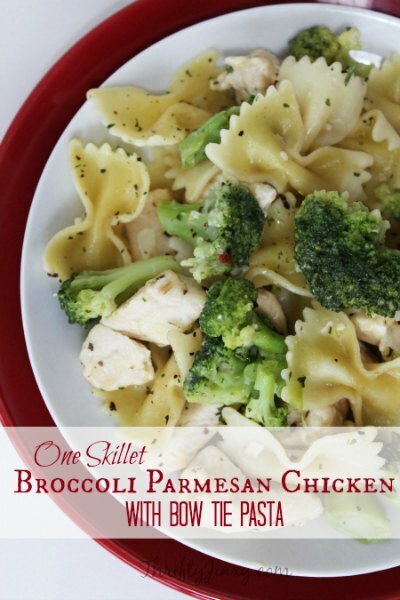 Serve these meals with a simple side salad or steam broccoli in the microwave for a quick side. So easy! Dinner time doesn’t have to be complicated. You can have these meals on the table faster than getting take out. You might also like 10 Ways to Use Leftover Taco Meat! 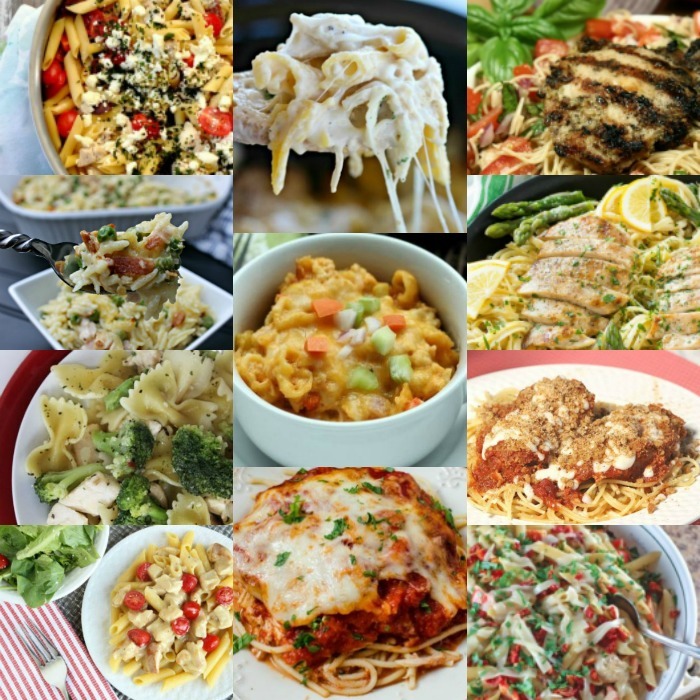 So many great ideas for easy meals! Also try Over 30 of the Best Burger Recipes! Lots of options for everyone. Don’t stress about having everything perfect. Just gather around the table and enjoy dinner with your family. The memories made from talking about your day will last for years to come. These chicken and pasta dishes are hearty and comforting. None of them are complicated or expensive. These recipes will not take hours or bust your budget. Some of these can be made in the slow cooker. 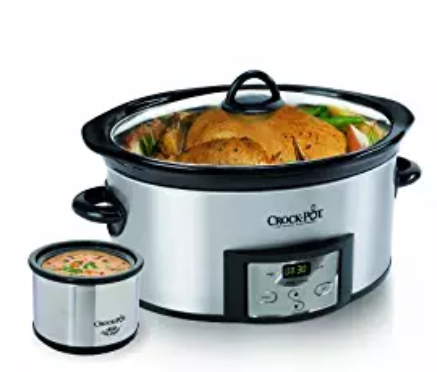 If you need a crock pot, here are some nice ones on sale. My favorite is my programmable crock pot. I can literally set it and forget it! Perfect for those days I will be gone all day. This dish is Chicken Parmesan simplified. It’s perfect for those that don’t have time to dredge cutlets but can just toss it all in the slow cooker. It’s a one pot meal that is really easy and delicious. 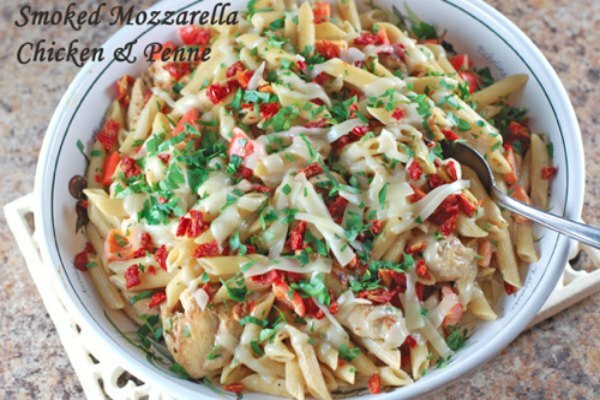 The smoked mozzarella cheese in this recipe makes this dish taste just like Olive Garden’s. Give it a try! 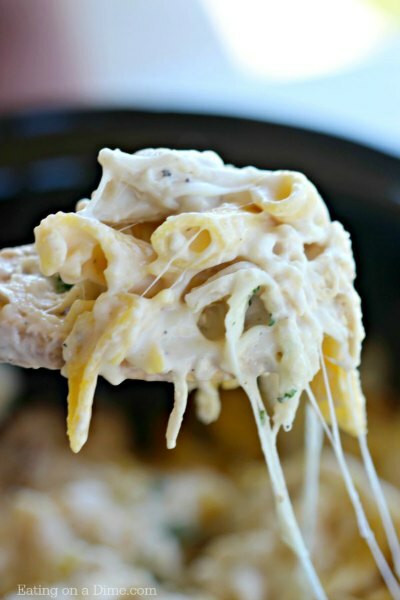 This Chicken Alfredo is so creamy and amazing. This recipe is made in the crock pot and makes this dish so easy! 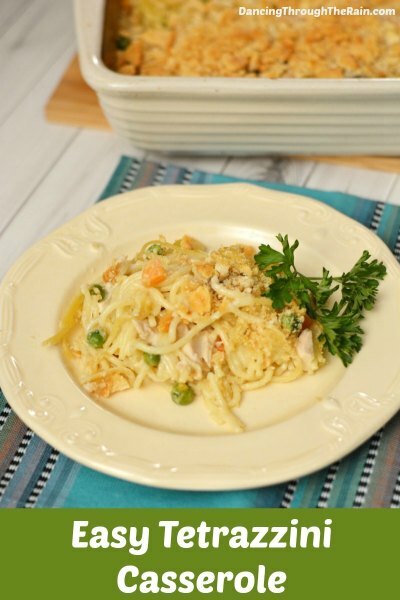 This Chicken Spaghetti Casserole recipe is a yummy twist on classic baked spaghetti. The chicken is a nice change and all the ricotta, mozzarella and other cheeses make this dish so rich and creamy. This meal can be easily made with leftover chicken! This is so easy and feeds a crowd. It’s creamy and yummy too! 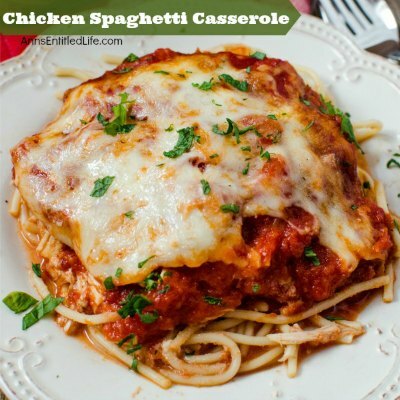 This 20 minute dinner idea is one recipe that is perfect for a weeknight meal. 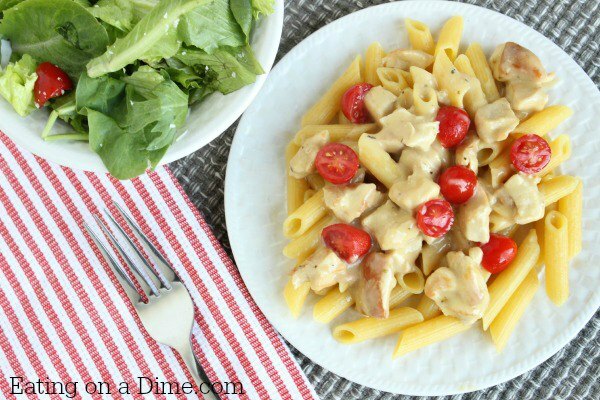 Kids will love this creamy chicken recipe and so will adults. The fresh tomatoes really add to it! The sauce in this pasta dish has Parmesan cheese and cream cheese in it to make it so incredibly creamy and cheesy. The spinach adds a nice touch and the lemon juice gives it an extra burst of flavor. Tangy and bursting with flavor, this pasta is going to be a hit! 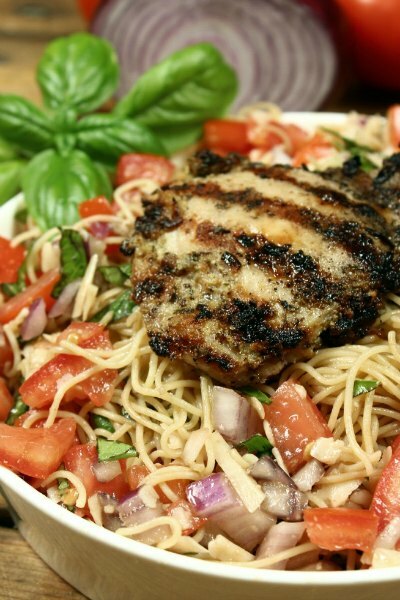 The chicken is seasoned perfectly and the tomatoes and pasta come together for a great meal. 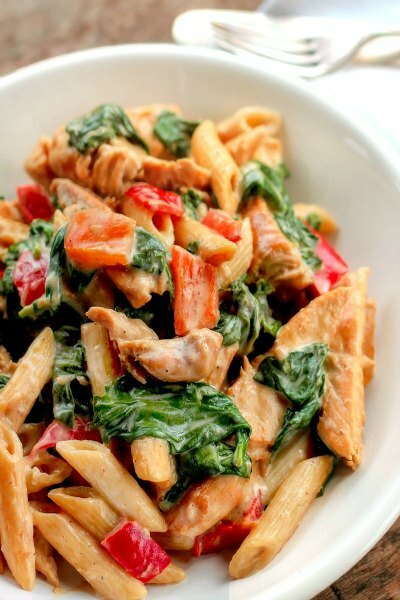 This chicken and spinach pasta is so creamy and cheesy. It’s comfort food at it’s best! 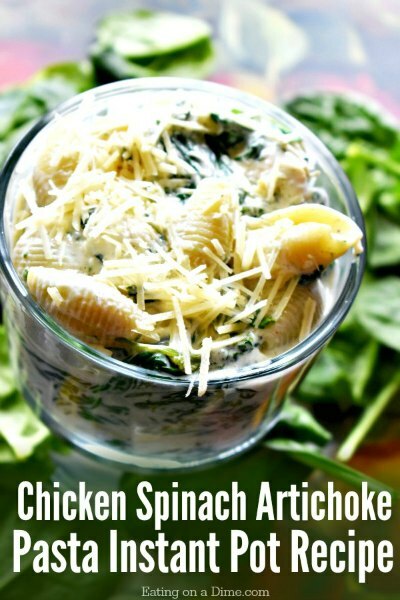 Give this a try even if you don’t like spinach. It’s so good! 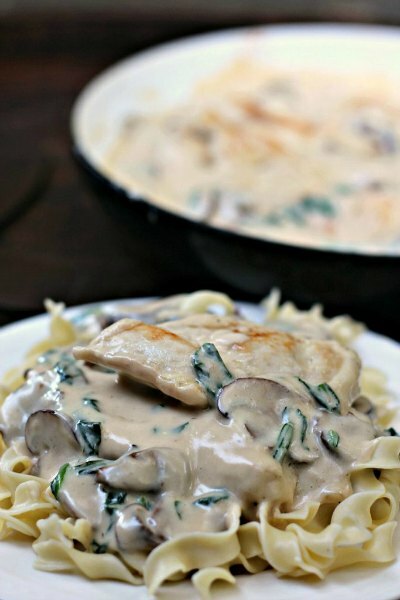 Skillet Chicken is so creamy and the mushrooms add an incredible flavor. Serve it with egg noodles for the perfect meal for busy nights. 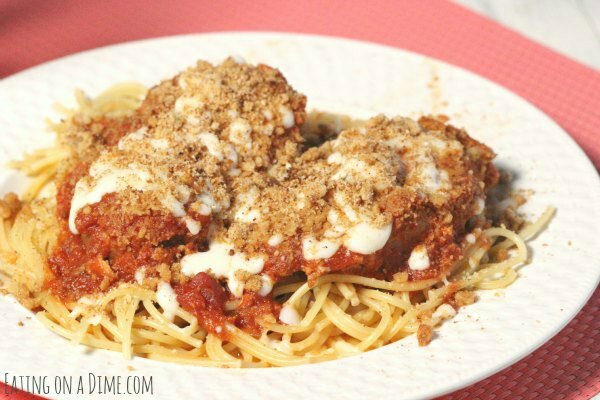 Chicken Parmesan can be a lot of work but not when you use the slow cooker! It’s so easy and you can have dinner waiting. Serve it over whatever type of pasta you prefer. 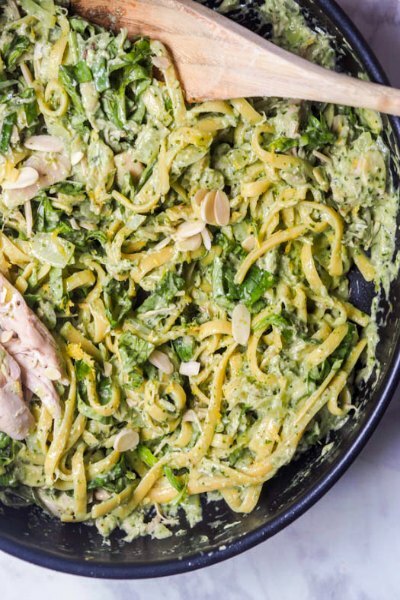 Pesto chicken pasta comes together quickly for busy nights. It’s also dairy free and uses a creamy coconut milk based sauce. The toasted almonds give it extra flavor as does the fried garlic chips and fresh herbs. It’s also gluten free. 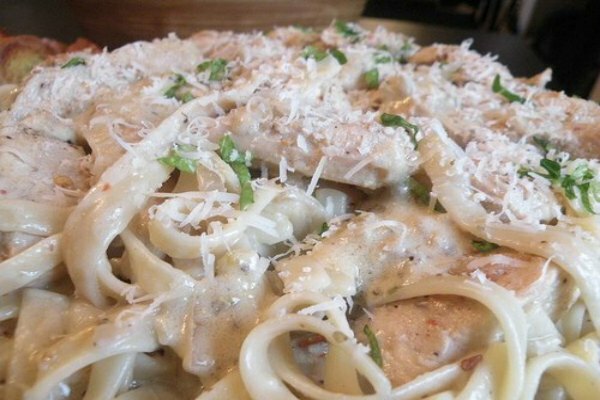 If you love Olive Garden, this recipe duplicates their famous Chicken Alfredo. Save a ton of money by making this at home and it’s absolutely delicious. This one skillet recipe is the perfect all in one dish. It’s easy to make, tastes great and budget friendly! The broccoli and chicken get a generous dose of Parmesan cheese, red pepper flakes and more. If you don’t have broccoli on hand, you can easily substitute pea pods or spinach. This dish is so easy in your instant pot. It’s bursting with flavor and is the ultimate comfort food. The Italian seasonings, tomatoes and chicken will quickly become a new favorite. 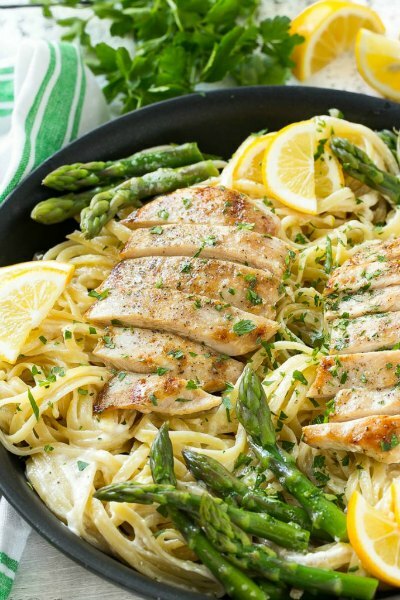 This delicious lemony chicken pasta with asparagus is sure to be a real crowd pleaser. The creamy lemon sauce is so simple and only takes 5 minutes to make! 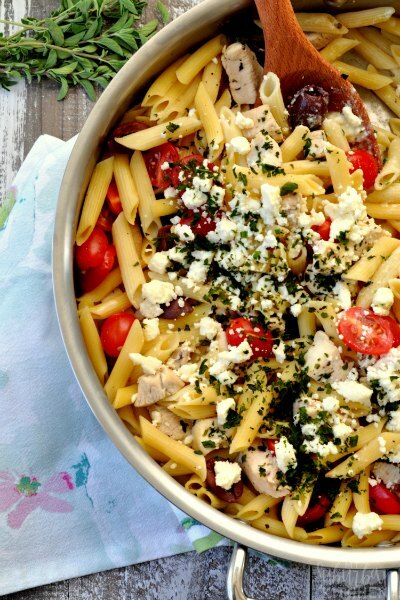 This pasta is packed with lots of yummy olives, fresh tomatoes and crumbled feta. The secret to this dish is to marinate the chicken before cooking! 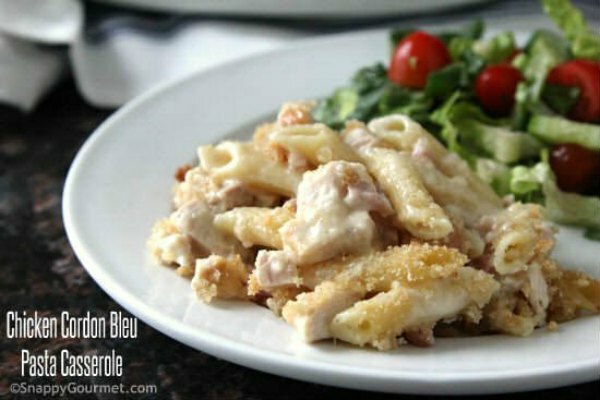 People often think of chicken cordon bleu as a fancy dish. Turn it into an easy meal idea with this casserole idea. It’s such an easy baked dish that the entire family will love. It freezes well so you might want to make a double recipe to have for later. 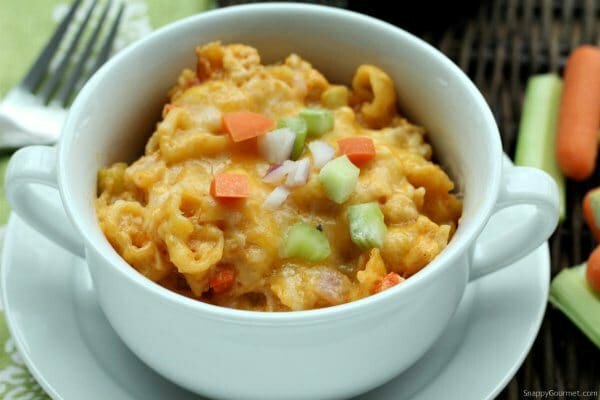 Veggies, chicken and pasta make an awesome mac and cheese dish! The secret is the hot sauce and all the cheese! They all come together to make a very cream and spicy mac and cheese with chicken. 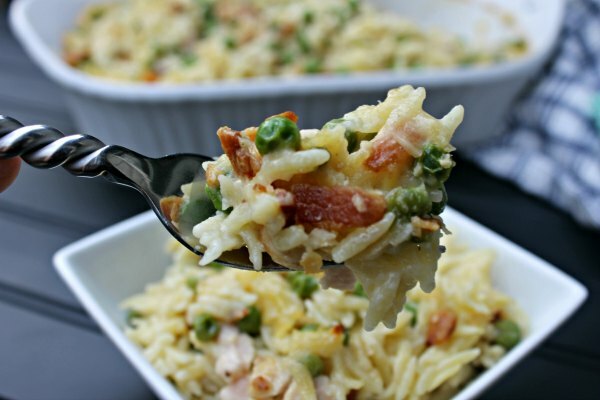 The bacon with the chicken make this cheesy pasta oh so good! The orzo is so filling and delicious. Plus, it’s so easy to get dinner on the table fast with this easy casserole! 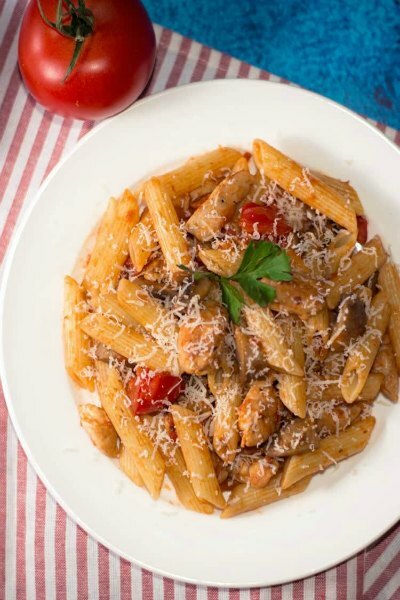 With so many Easy Chicken Pasta Recipes, dinner is going to be a breeze! Make a list of the recipes you think your family would enjoy the most. Plan your weekly menus and get started! Take the stress out of dinner time with these easy meal ideas. Take out gets expensive, takes forever and isn’t always that good! These meals will have dinner on the table faster than you can get take out. Plus, you will create precious memories around the dinner table with your family. And isn’t that what’s it’s all about? Also try Over 30 of the Best Burger Recipes! Lots of options for everyone.